Lake Chelan is one of the Premier Resort Destinations in the State of Washington. It is best known for it's warm sun and clear blue lake. At one end of the lake sits the resort town of Chelan where travelers come to enjoy the endless water and outdoor recreation and relax at the lake. Welcome to Small Town America Chelan, Washington. Stroll up and down Woodin Avenue and Emerson Streets to enjoy a complete shopping experience. Unique theme stores for the chef, quilt maker, and gift giver await you. Apparel shops for all ages, a bookstore, art galleries, a custom design jeweler shop, and antiquing can all be visited along your walk. Don't miss the 100-year-old log church and the historical museum right in the heart of downtown. While strolling, take time to view the 14 featured murals in and around the downtown area; in each one look for the hidden form in the shape of an apple. There's something about downtown Chelan that makes you feel at home. People wave to each other, store owners greet you by name, and folks use any excuse to gather along the sidewalk just to catch up on community news. Chelan is the only incorporated community in the Northern part of Chelan County and is located along the Southeast end of Lake Chelan. The city’s year round population runs around 3,700, but the area is popular with visitors and part time residents; these numbers swell during the summer months. According to the Lake Chelan Wine Growers Association, Lake Chelan is the 11th AVA (American Viticultural Area) in Washington State. This designation is an appellation of origin granted by the Federal government (more specifically the TTB). An AVA is a area with unique climate, soil and physical features that distinguish it from surrounding areas. The idea is that what is produced within an AVA is specific to that place and would not be the same grown somewhere else. 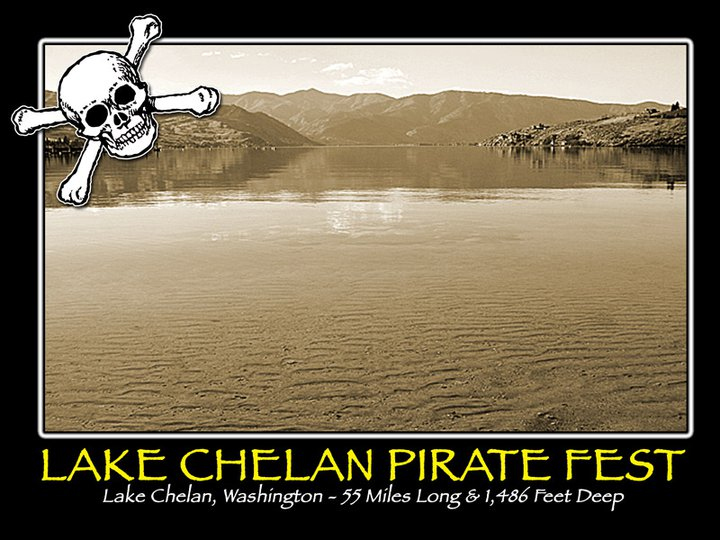 Throughout Lake Chelan's History there have been many legends tolds, as you can see in our History Page alot of our History seems to be Linked to our own Pirates at Lake Chelan!